So you’re thinking of buying a handgun. If you’re a first-time owner, it’s crucial that you know what you’re getting into before looking for guns for sale. Let this handy guide for beginners help you out. Treat any gun you handle as if it were loaded. You need to assume that any gun you come in contact with is loaded. This is especially true if you are handling a firearm that is unfamiliar to you. Take your time to inspect it to confirm that it is, in fact, unloaded. Do not fiddle with it needlessly; instead, ask for assistance if you do not know how to use it. Always keep your gun pointed at a safe direction, whether you’re holding it or setting it down. If you are transporting it, make sure you know your area’s rules regarding the prescribed muzzle direction, gun casing, and more. Keep your trigger finger rested at the side of the frame until you have found your target and determined that it is appropriate to shoot. Your responsibility does not end the moment your bullet leaves your gun. Before you shoot, make sure you are aware of your surroundings. You are responsible for anything your round makes contact with should it ricochet, stray, or over-penetrate your target. Over 1.7 million kids in the U.S. live in homes with loaded and unlocked guns. As an additional rule, always keep your gun unloaded, locked, and in a place that unauthorized users, such as children, cannot reach. 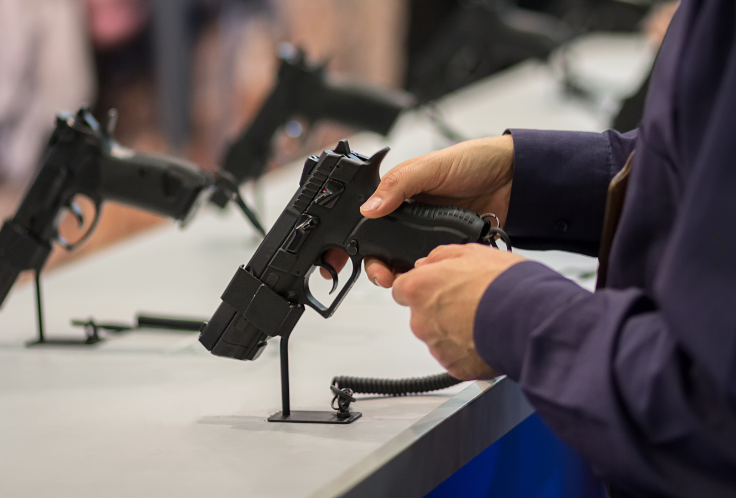 It pays to understand some of the most common gun-related terminologies if you own firearms. Trigger. This is the device that sets off the gun. Keep your finger off it unless you’re ready to shoot your target. Barrel. The tube that the bullet travels through on its way out of the gun. Handguns have shorter barrels than larger weapons, such as rifles. Grip. You hold this part of the pistol. Although the grip is a common feature among handguns, it can also be found in some rifles and shotguns. Magazine. This is the detachable container that holds your gun’s bullet. In handguns, it is inserted into the grip. Safety. This lever prevents your gun from setting off. Keep the safety on if you do not plan on using the weapon to destroy your target. Owning a gun and knowing how to use it are some of the best ways to keep yourself safe from specific threats. However, it is also a huge responsibility, so be sure to learn gun-related rules before purchasing a firearm.